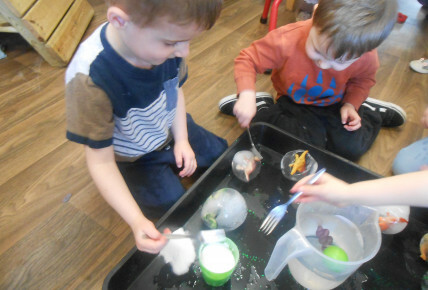 Pre School had a fantastic time freeing the dinosaurs from the frozen eggs. 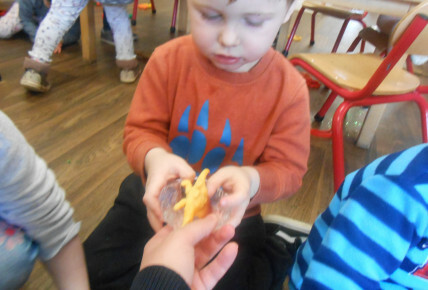 Throughout the morning the children were thinking of new ways in which they could free the dinosaurs. 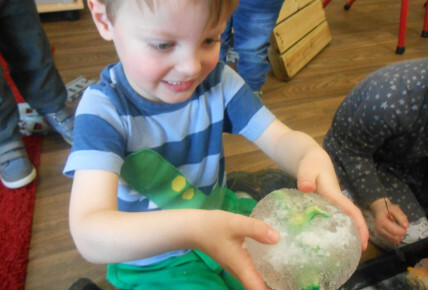 This learning experience encourages creating and thinking critically as the children tested out new ideas. The activity is an example of how we support our children's understanding of the world.